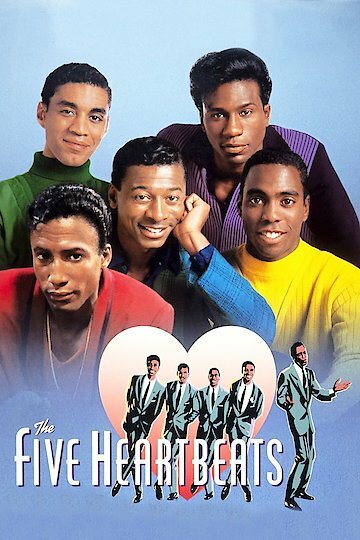 The Five Heartbeats is a film about five young men who form a musical group of the same name during the Motown era of the 1960’s. The film, narrated by lead character Duck, is portrayed by Robert Townsend. The men dream of success. This dream of becoming successful in the music industry reaches the pinnacle of fame and fortune in the lives of these young men. Duck is the co-founder, composer and only musician of the group. The young men, performing at shows in small clubs and venues, prepare to perform in a singing contest. Although the group loses, a music producer who agrees to represent them as group manager notices them. With new management, the group performs at other clubs. They eventually win another contest with a standing ovation. A music producer from Big Red Records offers them a record deal, but they refuse because of rumors of corruption. They sign with another label and take their act on the road. Life on the road presents many difficulties and challenges including racism, and poor living conditions. Despite the numerous challenges faced by the group, over time, they become successful. The group, throughout the 60’s, charted several hits, received musical awards, and was featured on numerous magazine covers. Because of the pressures that success brings, as well as the availability of drugs offered to high profile performers, the lead singer succumbs to a life of drugs and alcohol that eventually leads to his expulsion from the group. Through a series of challenges and betrayals, the group comes to an abrupt end. The members go their separate ways, losing contact with each other for many years. By the end of the film, it is the 1990’s. Duck receives a letter from a former member of the group inviting him to attend a church service where he serves as choir director. As he contemplates all that had transpired during the years with the group, he agrees to attend. They reunite and forgive each other for the problems of the past. The entire group agrees to get together for a reunion at a barbeque with family and friends. They reminisce about their years together, and perform former dance moves. The 1991 film stars Robert Townsend, Leon, Michael Wright, Tico Wells, and Harry Lennix. The Five Heartbeats is currently available to watch and stream, buy, rent on demand at Vudu, iTunes, Amazon, Google Play, YouTube VOD online.